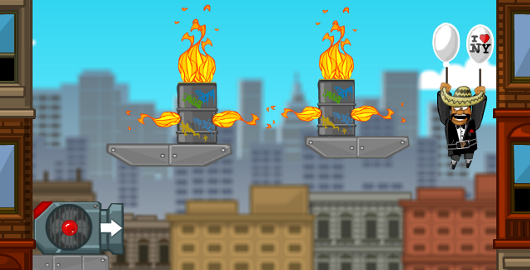 Amigo Pancho 2: New York Party is a Physics Puzzler developed by ConmerGamesStudios. If you liked Amigo Pancho then you’re going to love this one. Click to remove wooden boxes and planks without letting the deadly spikes make contact with Pancho or his helium. Posted on Thursday, April 19th, 2012. Follow any responses through the RSS 2.0 feed.